Amit are pleased to announce the launch of their VHG760 Vehicle 4G router in the UK which will be available to purchase from Westlake Connect Ltd / 3G Router Store. This industrial grade M2M LTE 4G Router has an embedded 4G modem so you can insert your 3G / 4G SIM card to provide high speed 4G mobile broadband connectivity. 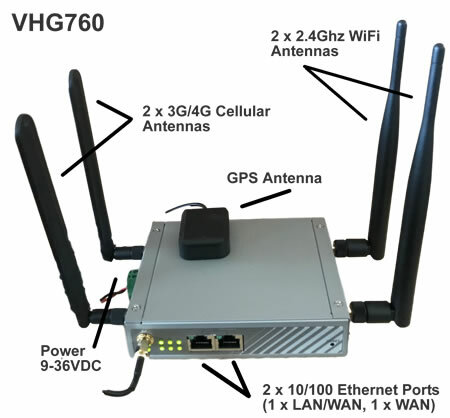 The VHG760-0T001 4G router provides LAN connectivity for wired and wireless devices via 2 x Ethernet ports and 802.11n WiFi and also includes GPS service and because the VHG760 is Emark certified it makes it the ideal choice for use as a Vehicle 4G router to provide vehicle 4G WiFi Hotspot or 4g connection for other vehicle 4G applications such as Vehicle 4G. The VHG760 router form Amit is build upon years of M2M 4G router innovation which means it has all the usual features and reliabiliy to also use this as a normal M2M 4G Router for remote management and monitoring applications. it is a robust and reliable, industrial grade LTE 4G router ideal for providing high speed mobile broadband for applications such as CCTV, Digital Signage / Remote Media, Kiosks, POS (Point Of Sale), Building Management and Wind/Solar/Water/Environmental monitoring applications, in fact anywhere that you need a reliable 4G mobile broadband connection for remote access and monitoring. – With GPS and provide ability for vehicle tracking or fleet management. This entry was posted in 4G, 4G Router, LTE Router, Mobile Broadband, Mobile Data and tagged 4g router, 4g router with emark, amit 4g router, emark, m2m 4g router, vehicle 4g router, vhg760, VHG760-0T001 on January 26, 2018 by admin. 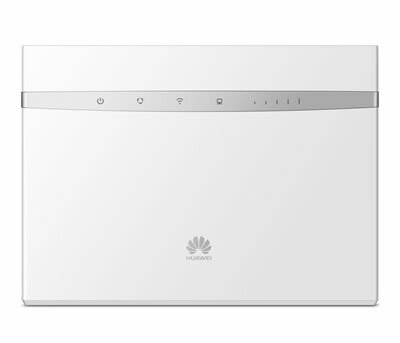 Huawei have announced that the E5186 CAT6 LTE 4G Router is now end of life and the replacement is the new Huawei B525 CAT6 4G Router. 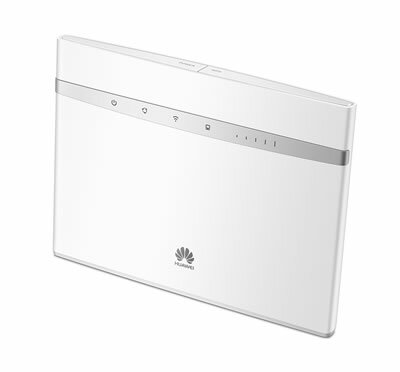 Using a slightly smaller case than the E5186, the Huawei B525s-23a embedded CAT6 4G Router offers similar functionality with 4 x Gigabit Ethernet Ports and 802.11AC WiFi for wired and wireless device connectivity and the high speed CAT6 LTE 4G modem inside providing high speed 4G mobile Internet connectivity. This entry was posted in 4G, 4G Router, Huawei, LTE, LTE Router, Mobile Broadband, Mobile Data, Telecoms News and tagged b525, b525s-23a, cat6, cat6 4g, cat6 4g router, cat6 lte, cat6 lte router, Huawei B525, Huawei B525s-23a on April 27, 2017 by admin. 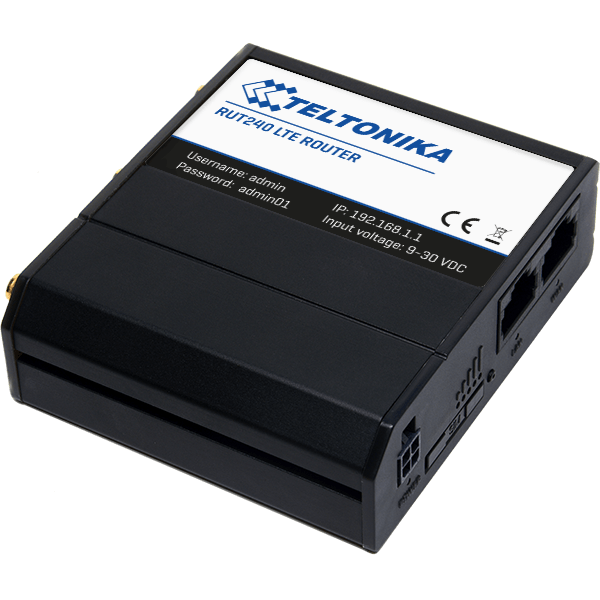 Teltonika have announced the launch of their new RUT240 compact M2M IoT 4G Router. 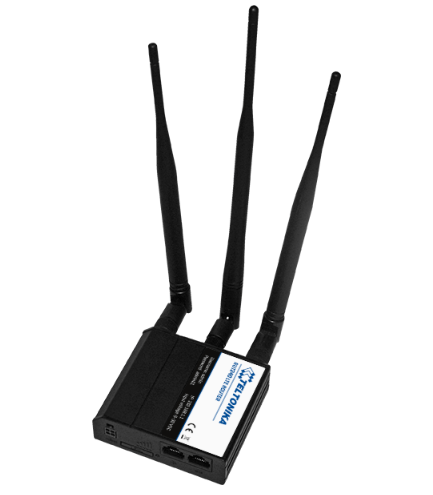 It is an embedded, low cost 4G router with single SIM card slot that provides 2 x Ethernet ports and WiFi to provide a low cost 4G router connectivity solution for remote management and monitoring. It comes supplied with 3 x elbow joint antennas as seen in the picture above, these are removable so can replaced with different styles of 4G antennas to suit your installation. Access to the SIM card is via the SIM tray on the side of the router, and you can see in the picture above the 2 x Ethernet Ports, power connector and also the Digital IO port. The Teltonika RUT240 will be available from June or July 2017 depending upon production and testing schedule and will be available in the UK from Westlake Connect Ltd. This entry was posted in 4G, 4G Router, Teltonika and tagged 4g router, RUT240, teltonika, teltonika rut240 on April 11, 2017 by admin. Westlake Connect / 3G Router Store have announced a series of amazing deals on the Teltonika 3G and 3G Routers with the entry level Teltonika RUT500 M2M 3G Router at just £82.00 each. The RUT500 is an embedded, industrial grade 3G router with 3 x RJ45 Ethernet LAN Ports and WiFi and includes an embedded 3G module – so you can insert your 3G SIM card and connect to your mobile broadband service. 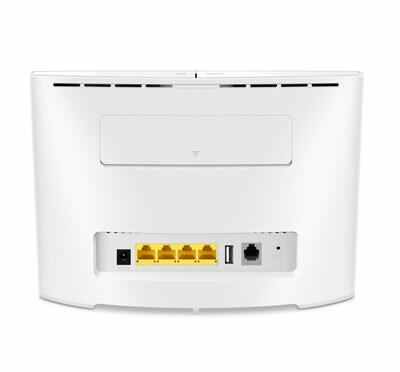 The RUT500 includes a 3G keep alive feature called ping reboot that is configured to ping an IP address on the Internet, something like Google public DNS server and if the router does not get a response then it will reboot and re-establish the 3G connection. This sort of feature is needed because 3G and 4G services are an always available service and not an always on service. 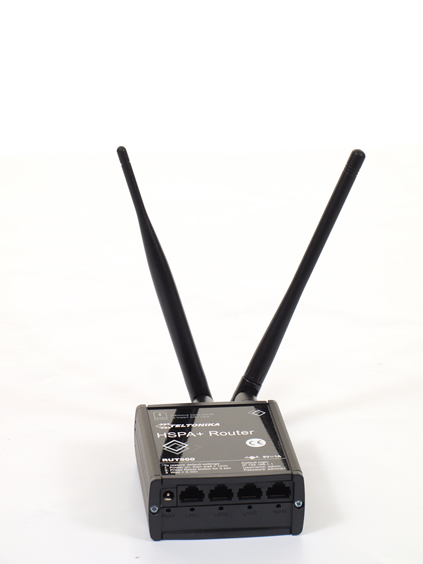 This Ping Reboot feature makes the Teltonika RUT500 ideal for M2M (Machine To Machine) applications that need a reliable 3G connection – after all there is no point relying on a 3G connection for remote monitoring and management if you need to drive to site every week to turn your router off and on to get it to reconnect to the mobile network. This is why many M2M installations that want to use a 3G or 3G connection will use an M2M type router rather than rely on a cheaper router and USB Modem set up. The Teltonika RUT500 also has an extra resilience feature called SMS Reboot so you can send the RUT500 an SMS message to get it to reboot or to send an SMS with the router status or to switch the 3G connection on or off. Of course the 3G router is just one part of the equation to provide remote access using mobile broadband. You will also need a SIM Card and the majority of users will opt for a Fixed IP SIM Card – this is a service from a specialist provider that enables the 3G router to use the mobile phone networks for the 3G connection but also provides a Public, Fixed IP Address so your 3G router, when used with a Fixed IP SIM Card provides you with a router, with an internet connection with a Fixed, Public IP address – that means you can contact the router from anywhere on the Internet and use port forwarding to connect to your devices on the LAN such as CCTV equipment (IP Cameras, DVR etc) or any other type of networked device including building management, energy monitoring (Wind/Solar), Digital Advertising (Remote Media/Digital Signage). If you just use a normal SIM card directly from the mobile networks your SIM card will connect to the Internet but will only be issued with a private IP address so you will never be able to communicate directly with your router, nor use features like port forwarding or DYNDNS – of course when you use a PC connected to the 3G router and open a web browser and visit a site like www.showmyip.co.uk then you will see that your connection has what appears to be a public IP address, however your router will have a different private IP address on the mobile network private network and the public IP address you see will be shared with up to 250 other users because the mobile network is using CGNAT (Carrier Grade NAT). Teltonika also provide other 3G and 4G routers through their distributor in the UK, Westlake Connect Ltd (www.westlake.co.uk) who own and operate several dedicated online stores including www.3grouterstore.co.uk and www.4grouter.co.uk. This entry was posted in 3G Router, 4G Network, Mobile Broadband, Mobile Data, Teltonika and tagged 3G Router, 3g router store, 4g router, fixed ip sim, fixed ip sim card, m2m, m2m 3g router, m2m router, rut500, rut750, rut900, rut950, rut955, teltonika, teltonika router, westlake on April 12, 2016 by admin. EE (Everything Everywhere) the combined networks of Orange and T-Mobile in the UK have announced that users of their 4G network in the UK can now benefit form double speed 4G services. Until now, the average 4G download speed using the 4GEE network was around 20Mbps which of course was good enough for plenty of customers who were pleased seeing the needle jump into 10-25Mbps download speeds when performing their 4G Speed Tests but now these users could expect to see their download speeds double and can see download speed up to 50Mbps. One example of a successful 4G speed test is the one carried out by Westlake Communications who tested the new Proroute H685 4G router which uses the latest 4G LTE QMI technology to deliver the fastest speed in a 4G router available in the UK. Tested in their Romford offices, Westlake used a standard EE 4G SIM Card and got download speeds of 45Mbps. You can view details of the 4G Speed Test by visiting www.westlake.co.uk or their dedicated 3G and 4G router store which offers the proroute 4G router range at www.3grouterstore.co.uk. This entry was posted in 4G, 4G Modem, 4G Network, 4G Router, LTE, LTE Network, LTE Phone, LTE Router, Telecoms News and tagged 4G Network, 4g uk, 4gee, 4gee double speed, double speed 4g, double speed 4g router, ee, everything everywhere, orange, proroute, t-mobile on July 19, 2013 by admin. 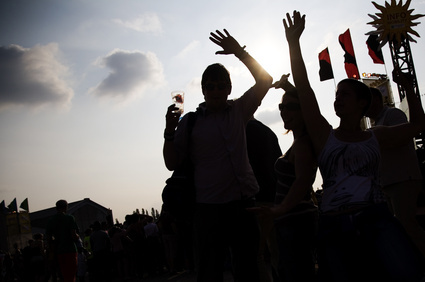 Glastonbury festival-goers will be able to log on to a Wi-Fi hotspot at the event’s campsite with the help of some converted farm equipment, reports telegraph.co.uk. The “EE-pimped eco-tractor” will drive around all weekend, sharing internet access using 4G technology, with people able to track where the vehicle is by following the @EE Twitter account. He also mentioned how the tractor idea follows in the footsteps of the 4G cabs stunt which the company carried out earlier this year. In terms of the tractor, people within ten metres of the machine should be able to get on to the internet. EE was the first network in the UK to offer 4G services and is keen to encourage more users to upgrade to 4G sims in the future. The technology allows much faster internet speeds. Glastonbury, which runs from Wednesday June 26th to Sunday June 30th this year, is considered to be the largest greenfield festival in the world, according to bbc.co.uk. This year’s event site at Worthy Farm in Pilton is 900 acres, with a perimeter of 8.5 miles. All 135,000 tickets for the 2013 edition sold out in under 2 hours. This entry was posted in 4G, 4G Network, 4G Router, LTE, LTE Network, LTE Router, Mobile Broadband, Mobile Data, Telecoms News and tagged 4G Glastonbury, 4G internet, 4G Mobile Broadband, 4G Tractor, EE 4G, ee 4g glastonbury, EE 4G Tractor, EE Glastonbury, EE Glastonbury festival on June 27, 2013 by admin. After much hype, Samsung has officially announced its next handset, according to zdnet.com. Rumours had circulated that the new phone would be the latest addition to the Galaxy series and Samsung confirmed it will be the Galaxy S4 Mini. The phone will have a slightly smaller screen than its big sister, coming in at 4.3 inches. One of the big selling points of the Galaxy S4 Mini will be that it is capable of taking a 4G sim, as well as being compatible with 3G dual sim networks. The main camera will also be eight megapixel, another feature likely to be welcomed by fans of the Galaxy devices. Telegraph.co.uk reports that the Mini will have the remote control feature found on the S4, as well as the S Health features, but the Eye Scroll software won’t be included in the new phone. The Galaxy S4 has now sold over ten million units since its launch last month, making it Samsung’s fastest-selling smartphone. This entry was posted in 4G, 4G Network, LTE Network, LTE Phone, Mobile Phones, Telecoms News and tagged galaxy, galaxy s4, galaxy s4 mini, s4, s4 mini, samsung, samsung mini on May 30, 2013 by admin. A report created by RootMetrics has shown that in Manchester, EE is currently offering the best data performance of all the major networks. V3.co.uk cited the results, adding that despite its impressive data performance, EE is still being pipped to the post by O2 and Three when it comes to call performance. Over 30,000 scientific tests were undertaken in the area to collate the findings, which showed that EE and its 4G signal is streets ahead; with speeds faster than any others on offer. While it offers a download speed of 15.2 mbps (megabits per second) and an upload speed of 9.4 mbps, the likes of O2 can only reach 1.5 mbps on uploads. Likewise, Three is crawling behind at 1.9 mbps. Despite the great results, yesterday (May 20th), EE was forced to acknowledge an outage of its service throughout the UK. Many of its 4G sim users were left without a 4G signal for much of the day, pcpro.co.uk reports, with a ‘PDP authentication failure’ to blame. The best performance results on the EE network were obtained using embedded 3G and 4G routers that let you insert the SIM card into the SIM card slot of the router and connect multiple devices. When used with a high gain, full band antenna for optimum signal reception users were able to achieve 4G download speeds of around 40Mbps. This entry was posted in 4G, 4G Network, 4G Router, LTE, LTE Network, LTE Phone, LTE Router, Telecoms News and tagged 4G, 4G Network, 4g performance, 4g signal, 4g speed test, ee, EE 4G, ee manchester, fullband, fullband antenna, rootmetrics on May 21, 2013 by admin. Trials of the new 4G platform have confirmed that it will not disrupt Freeview digital television signals, despite initial fears, itproportal.com reports. Tests performed by at800, a group created by Three, Vodafone, EE and O2, discovered that activating the masts did not interfere with Freeview outputs. A trial carried out across parts of west and south London in April resulted in not one single complaint. There had been concerns that activating the masts would have an adverse impact – or ‘TV apocalypse’ as some have termed it – due to the ‘close proximity of the 800MHZ LTE (4G) frequency to the UK’s Freeview signal’. However, a second trial in the West Midlands had the same positive outcome – which is great news for 4G operators and homeowners keen to install 4G routers. Speaking specifically about the London test, at800 chief executive Simon Beresford-Wylie said: “London is a big and important market for 4G services and also has millions of Freeview viewers. Clearly it was essential for the broadcasters and the mobile operators that we run trials in London before a roll-out of 4G at 800MHz. A further is taking place currently across the far hillier terrain of Brighton, according to bbc.co.uk. Though a ‘handful of issues’ have been highlighted so far, should the test ultimately prove successful, then the 4G roll-out could take place in the summer. This entry was posted in 4G, 4G Network, 4G Router, Internet, LTE, LTE Network, LTE Phone, LTE Router, Mobile Broadband, Mobile Data, Mobile Phones and tagged 4G, 4g freeview, 4g freeview interference, 4g interference, 4g news, 4g tv, 4g uk, O2 4G, rg roll out, telecoms news, vodafone 4g on May 17, 2013 by admin. With many mobile device users in the UK looking to upgrade their phones to accept 4G sims in order to take advantage of super-fast connectivity, technology manufacturer Samsung has announced a breakthrough in 5G. However, those thinking of putting off an upgrade in favour of 5G will be waiting a very long time as Samsung has estimated the technology will not become public until at least 2020. Furthermore, theinquirer.net believes it could even be a much longer wait given the 13 years that separated 3G and 4G connectivity, making it unlikely that 5G will become available for UK consumers ‘within the next decade’. Nevertheless, Samsung’s claims to have successfully developed its 5G network with 1Gbps speed, reaching a potential 10Gbps. This means users could potentially download an entire movie in less than one second. Overall, 5G networks could allow “a wide range of services such as 3D movies and games, real-time streaming of ultra high-definition content and remote medical services,” claims the firm. Samsung commented on the new network to telegraph.co.uk: “Samsung’s latest innovation is expected to invigorate research into 5G cellular communications across the world. “The company believes it will trigger the creation of international alliances and the timely commercialisation of related mobile broadband services,” it added. This entry was posted in 3G Router, 4G, 4G Modem, 4G Network, 4G Router, 5G, 5G Internet, 5G Router, Internet, LTE, LTE Network, LTE Phone, LTE Router, Mobile Broadband, Mobile Data, Mobile Phones, Telecoms News and tagged 5g internet, 5g mobile, 5g mobile broadband, 5g network, 5g router, 5g speeds, 5g uk, samsung, samsung 5g on May 13, 2013 by admin.